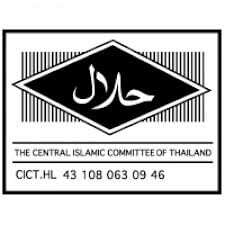 KUALA LUMPUR: THE Central Islamic Council of Thailand (CICOT) yesterday signed a memorandum of collaboration with DagangHalal Sdn Bhd to adopt syariah standards applicable in Malaysia for widespread usage within the Siamese nation. “Together with the support of the Thailand government and universities like Chulalongkorn University in the form of courses, facilities and research, CICOT plans to standardise all halal certification guarantees in Thailand,” said CICOT managing director Prof Dr Ismail Ali. As products from Malaysia are renowned worldwide to be guaranteed halal, the partnership between these two organisations would strengthen product exports of both countries, he added. Ismail noted that the halal product market in Thailand is currently worth US$7 billion (RM21.44 billion). This partnership will also feed into DagangHalal’s online search platform Halal Verification Engine, to be implemented in September. The project already involves seven Islamic agencies in six different countries — Malaysia, New Zealand, Netherlands, Belgium, South Africa and now Thailand. Further, the firm launched DagangPay — a mobile e-commerce aggregator of services that will underpin the payment services for DagangHalal.